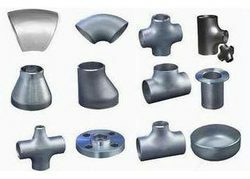 manufacturing,Supplying and Exporting a comprehensive range of forged pipe fittings that can be customized for our clients as per the mutually agreed specifications. 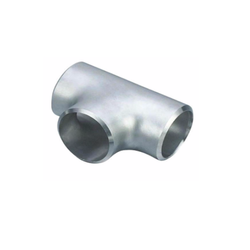 These robustly engineered forged pipe fittings are offered to our clients at most competitive prices. We hold expertise in offering our clients with a wide range of Stainless Steel Polished Pipes . Available in different shapes and sizes, these pipes are in line with quality standards of industries, specially Railings and Furniture. These pipes are made using best quality stainless steel, which is sourced from reliable and capable vendors / manufacturers. Thickness: 0.5 mm to 3.25 mm. 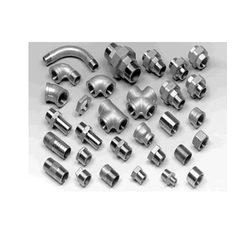 We, Salem Steel Industries is a coveted manufacturer, exporter and supplier of optimum quality Alloy Screwed Pipe Fittings that are available in various specifications to meet the diverse needs of the clients. 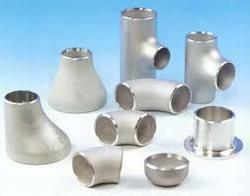 Offered pipe fittings are widely acclaimed by our clients for fastening various pipes. Proposed fittings are manufactured by our skilled professionals using quality approved metal alloys in line with set international standards. Offered Alloy Screwed Pipe Fittings are highly demanded in the market and can be availed at industry leading prices. We are the trader & exporter of fine quality Seamless pipe fitting. We are offering our clients with Eccentric Reducer and Concentric Reducer that are used in petrochemical, power, nuclear and electronic industries. Known for their close tolerances, these stainless steel concentric and eccentric reducers are designed with precise configurations. These reducers are ideal for critical applications that involve high pressure, impulse, vibration and temperature. We have in store for our clients, a quality assured range of Long & Short Stub End fittings that are in compliance with the industry accepted standards and norms. These fittings are hot dip galvanized, epoxy coated and electro polished for durability purpose. We also provide these fittings along with mill test certificate as per EN 10204 / 3.1B to suit the quality conscious approach of our clients. We,Salem Steel Industries is indulged in manufacturing, exporting and supplying high quality reducing Elbows. 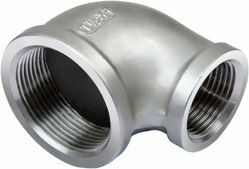 Our offered elbow is tremendously used in distinct industries such as oil & gas, chemical and many more for connecting two pipes. The provided elbow is manufactured by utilizing superior quality raw materials under the stern supervision of our adept professionals and checked by our quality auditors. Further, this Reducing Elbow is easily accessible in variegated specifications to meet the desired needs of our patrons. We, Salem Steel Industries is indulged in offering a quality proven assortment of Reducing Unions to the clients. These unions are designed utilizing quality proven raw components and are in line with the prevailing market developments, these reducing unions is available for clients at very affordable prices. We, Salem Steel is considered as the major supplier of Mild Steel Angles. a channel is a right angle "C" section. These channels are also called C Channels. Along with beams, channels are mainly used in structurals. We have in store for our clients, a quality assured range of elbow 90 degrees that is available in seamless and welded forms. Designed using premium grades of stainless steel, these elbows 90 degrees are offered in long radius and short radius with different specifications of threading and pressure ratings. 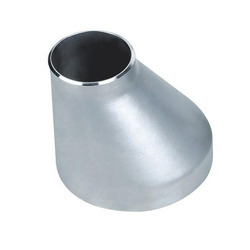 We fabricate 45 degree elbow which is primarily used for the connection of fractional tube. Sourced from reliable vendors, good quality of raw material is used in the production of our gamut, which includes brass to BS 2874/2872 and any special brass material composition as per availability. Furthermore, 45 degree elbow can be easily modified in accordance with client requirement and is delivered on time. Following are its specifications. 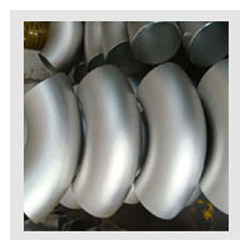 Our clients can avail from us, a dimensionally precise range of elbows 180 degrees that is used in high-end applications of petrochemical, power and gas industries. Available in both seamless as well as welded form, these stainless steel elbows are offered in long radius & short radius, and different technical specifications of grades, sizes, threading and pressure ratings. 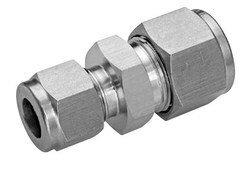 The stainless Stainless Steel Fittings are made using graded SS304, SS 316L steel. These fittings are high on tensile strength and durability and ensure hygienic operation. The fittings are designed with flush and crevice-free joints and are suitable for in-place cleaning. 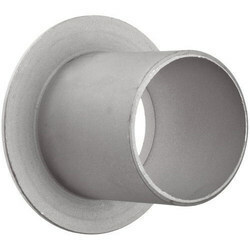 Looking for Forge Pipe Fittings ?